SBC Hosted Voice Plug’n’play phone system from only £14.95 per month. SBC Hosted Voice VoIP telephone system for business provides an extensive range of fixed and mobile telephony capabilities via an easy-to-use web portal. 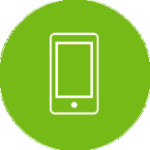 With FREE handsets, inclusive local, national, mobile calls and optional bolt-ons, the service allows you to easily manage your environment whilst enabling your employees to maximise their productivity. Unlike many providers, our solution doesn’t require you to purchase another broadband connection. If you’ve already got that bit sorted, all you need to get up and running is a free Yealink plug-n-play handset and user subscription – Easy peasy lemon squeezy! 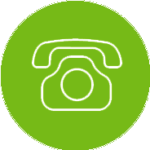 If you do need broadband connectivity, we’ve got that bit covered with specialist engineered broadband options designed to work perfectly with our hosted phone system – to guarantee you high-definition (HD) voice calls and internet services. You could have a fully functioning, maintenance free, award-winning, hosted feature-rich telephone system setup within minutes. Why not check out our honest and transparent pricing model below or contact us today to discover more about the best cloud hosted VoIP PBX service on the market. Why choose SBC Hosted Voice? Manage your phone calls easily and effectively. 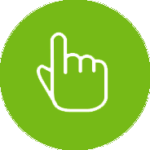 Fixed and mobile features you control via an easy-to-use web portal. Scalable, affordable, secure and easy to use. Reliable and proven easy to use service. Use your existing broadband connection or choose a new one. We make mobile and flexible working a breeze. Home Worker – take profiles and settings home. Call Forwarding – manage incoming calls effectively. Call Notify by Email – keep track of important calls. Remote Office – use your number and profile anywhere. Voicemail – play a message from any device. What are the standard key features? How much will SBC Hosted Voice cost? What extra features are there? Provides unlimited storage giving you the ability to record telephone calls both inbound and outbound, so that recordings can be accessed later via your very own web portal. CRM Integrator can be added to enable easy integration with your CRM program, in addition to a full set of features. Compatible with CRM packages including SalesForce and MS Dynamics. The Android and iOS mobile phone app enable users to make and receive calls on a mobile device. The perfect bolt-on for users who often work remotely or who are regularly on the move. Please complete the form below to get your FREE quotation. SBC hosted VoIP telephone system offers three price plan options with FREE handsets, inclusive local, national and mobile minutes. All minutes are bundled together across all users. Business 500 - 500 Local/National 01, 02 and 03 Minutes Free. Mobile Minutes Not Included. Business 1000 - 1000 Local/National 01, 02 and 03 Minutes Free + 200 Mobile Minutes Included. (EE, O2, Vodafone and Three Networks). Business 2000 - 2000 Local/National 01, 02 and 03 Minutes Free + 2000 Mobile Minutes Included. (EE, O2, Vodafone and Three Networks). Choose Your Monthly Price Plan? This is also the number of free Yealink T41 or Yealink W52 handsets you will receive. Use the drop down menu to select. Simply select each device and enter a quantity. Free handsets cannot exceed user subscriptions ordered. Please select how many DESK or CORDLESS handsets you require. 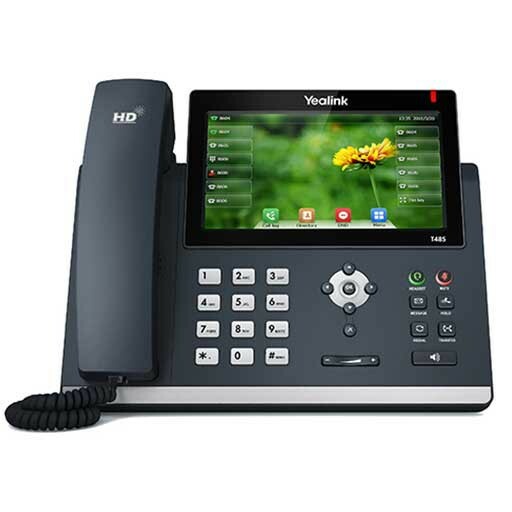 The Yealink T41P is a 3 line PoE VoIP phone with Yealink Optima HD Voice for enhanced audio quality on calls. 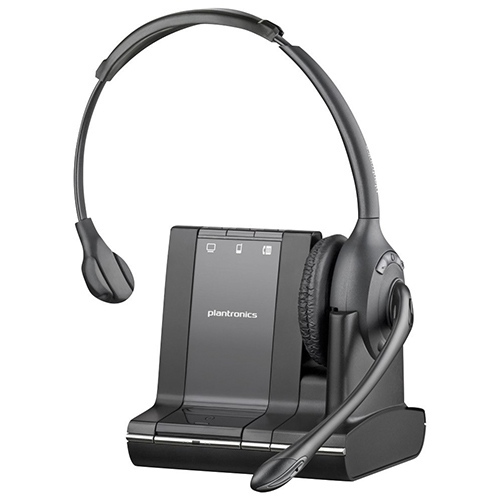 The T41P features a paper label free design, ergonomic recessed buttons and an adjustable stand. 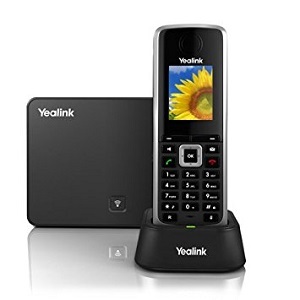 The Yealink W52P DECT cordless phone enables its users to benefit from excellent audio quality, freedom of movement, multi-tasking convenience and professional features like intercom, transfer, voicemail. 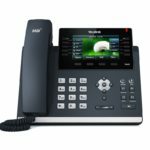 If you would like to upgrade free Yealink T41 desk phones that come with user subscriptions, simply select each device and enter a quantity. One-off charge. 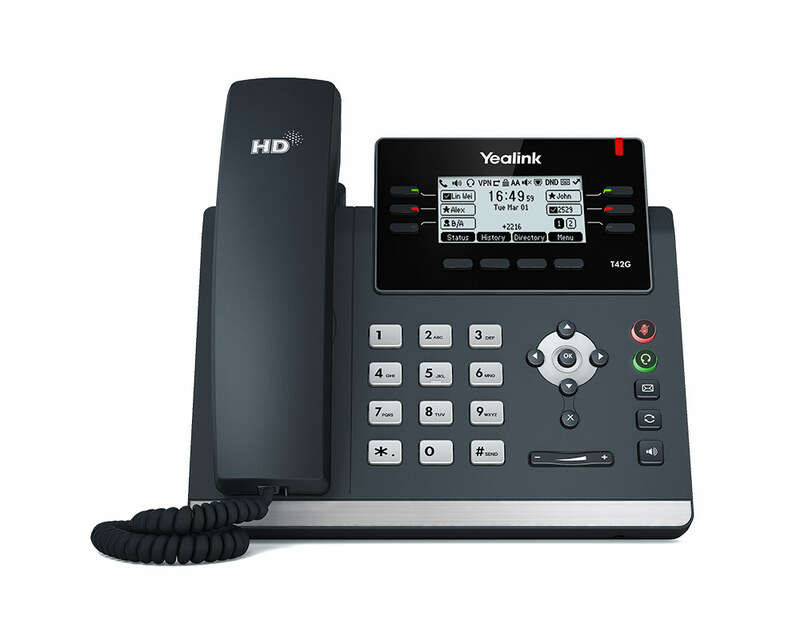 Yealink T46S = £69.00 exc vat per unit. Yealink T48S = £169.00 exc vat per unit. 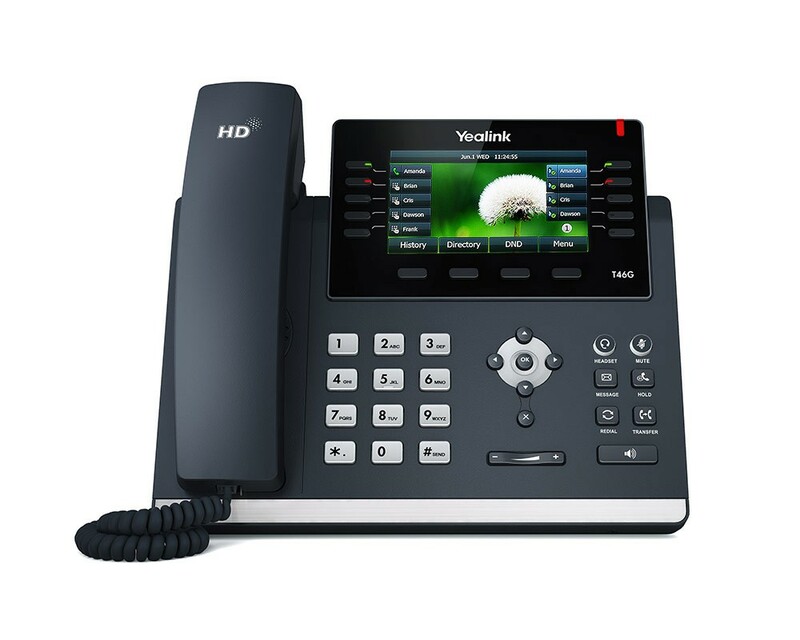 Yealink T49S = £449.00 exc vat per unit. 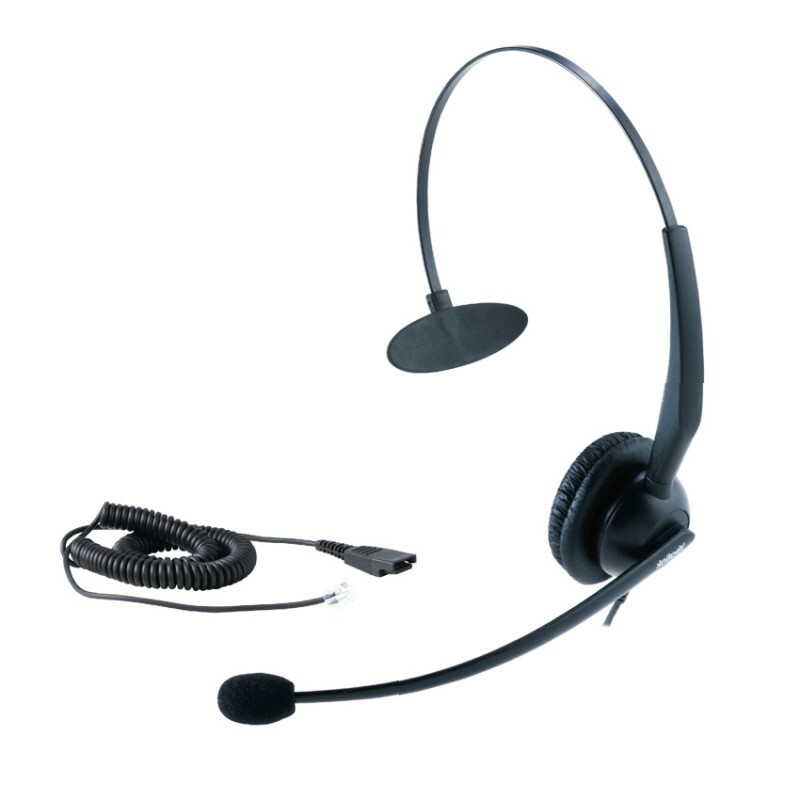 Yealink CP960 Bundle = £529.00 exc vat per unit.- *Bundle Includes: conference unit plus two expansion microphones. Please select handsets and quantities you would like to upgrade below. The T46 is the latest revolutionary IP Phone for executive users and busy professionals. New designs appears the commerce, with high-resolution TFT color display, delivering a rich visual experience. 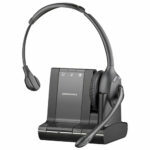 The Yealink T48 is the high-end model of the Yealink Series, designed for both executives and busy professionals. 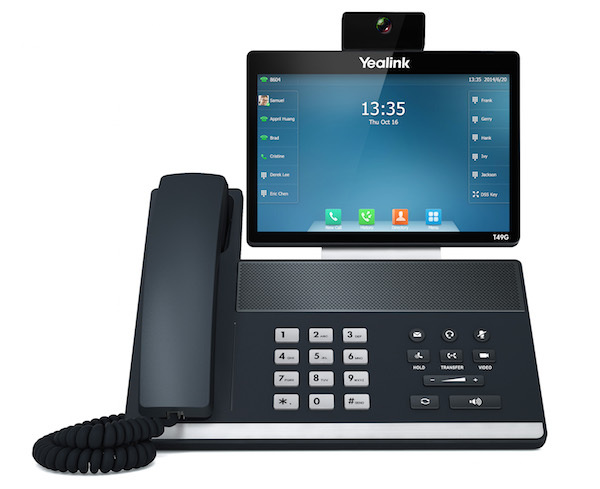 The elegant Yealink Phone has a 7" colour touchscreen and superb HD audio performance. The Yealink T49 is aimed at executives and teleworkers for modern virtual collaboration requirements. Supporting video touch screen striking the perfect balance between simplicity and sophistication enabling high quality communications for business executives. 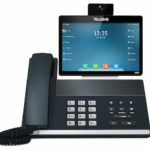 The Yealink CP960 Conference Phone is an Android-based voice conferencing unit that allows medium to large conference phones the ability to communicate with crystal-clear audio quality. Includes 2x Microphones - Requires subscription for operation. Our full range of business Broadband services includes Fibre Broadband using Fibre to the Cabinet (FTTC), and standard ADSL2+ broadband connections. Unlike many providers, our hosted system doesn’t require you to purchase another broadband connection. If you’ve already got that bit sorted, all you need to get up and running is a free Yealink plug-n-play handset and user subscription. If you do need broadband connectivity, we’ve got that bit covered with below options which Include a fixed monthly PSTN line rental. No Broadband Required. You will need to make sure your connection is suitable for voice calls. Standard ADSL2+ Broadband £45.90 exc vat / month. Includes PSTN line rental and FREE Draytek router. Superfast Fibre FTTC Broadband £62.90 exc vat / month. Includes PSTN line rental and FREE Draytek router. 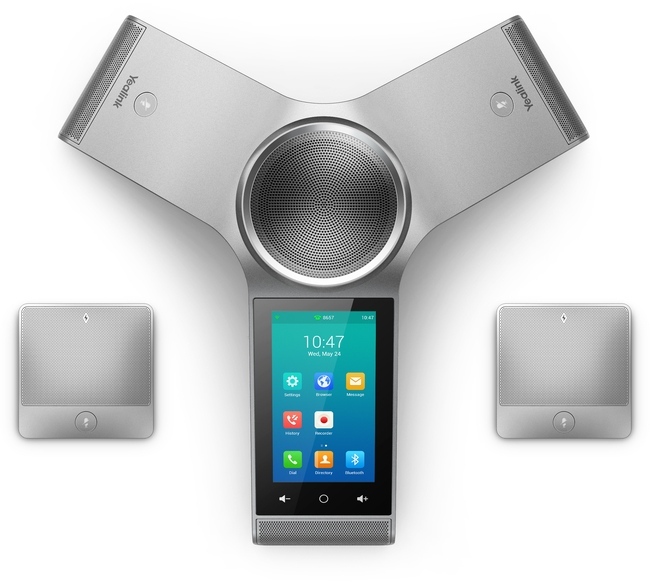 Power up your phone system with optional features. If you would like to add features, simply select each option and enter a quantity. Would You Like To Port Your Existing Number(s)? We can transfer almost any number starting 01 and 02, onto our service. Yes. I would like to port my local number(s). £99.00 + vat one-off fee. Please note: When porting your main telephone number to us, your line will cease on the day of the transfer. If that line has your broadband service active, your broadband service will cease also. If this is your only internet connection, you may need to consider purchasing a new converged broadband service (see option 5) before porting your desired number. Number porting takes approximately 2 weeks to be completed depending on what type of line you have. Please check that you are out-of-contract with your existing provider as you may be liable for early termination charges. If you answered yes to porting your existing local numbers please enter them below. For ISDN DDI's Numbers, enter range e.g. 01264 336123 - 336159. Would you like to port your number? Yes. We would be interested in onsite installation and user training. Onsite installation = £385.00 + VAT. We will make sure your existing network cabling will support IP phones. We will make sure your existing broadband is suitable for voice calls. We will verify existing network switches will support IP Phones. We will verify if additional cabling or POE network switches are required. If you would like to add additional items, simply select each device and enter a quantity. One-off charge. 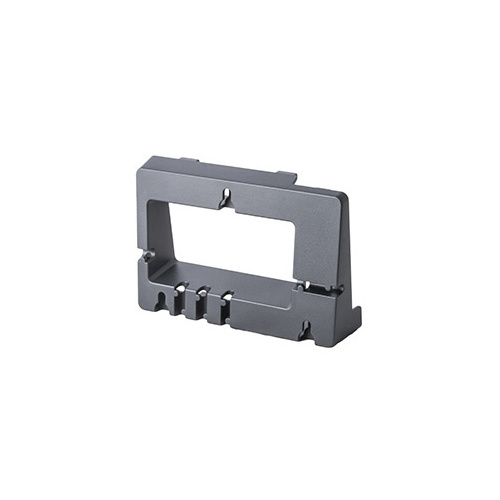 Yealink T42WM Wall Mount Brackets= £4.95 exc vat / per unit - *T41, T46, T48 Compatible Only. The fee to port a multi-line phone number is £49.00 ex vat. The fee to install a single PSTN line is £89.00 ex vat. Yealink T41S Power Supply Units Sold Separately @ £12.95 ex vat / per unit. Free minutes are pooled across all users. 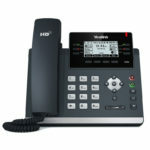 36 month contract applies for free Yealink T41S or W52P DECT cordless handsets. 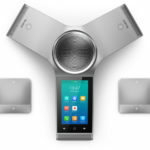 The total number of handsets ordered must not exceed the number of active subscriptions. SBC reserve the right to invoice £99.00 cancellation fee where a subscription is cancelled prior to its minimum commitment. All calls to SBC may be recorded to help us in dispute resolution and for training purposes.